A Lake Worth home can suffer water damage from extreme storms or mundane problems like a broken dishwasher. While every restoration service tries to prevent severe or permanent damage, there are incidents where the water comes in too fast or remains soaking property for too long to stop it all. On those occasions, homeowners need a company that can rebuild a home and not just dry out the carpets and replaces a couple of panels of drywall. Express Emergency Services is that company when a Lake Worth home needs a full-service operation. 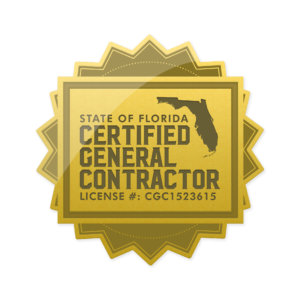 As a fully licensed general contractor, our teams can remediate the effects of water damage, perform demolition on property that is a total loss and then rebuild everything from a backyard deck to installing a new roof over the attic crawlspace. Every task starts with an inspection. Our team leader examines the structure to determine the immediate priorities and puts the team to work while explaining to the homeowner what they need to do to return the home to its original state. They provide a list of requirements and Express Emergency administrative personnel work with the homeowner and their insurance company to make sure the policy covers everything they receive. The immediate priorities include water removal and preventive, remediation actions. Team members use pumps and extraction wands to draw out all standing water. As they perform this task, other members remove furniture and other items to a dry area or place them on pallets and blocks to allow water to drain and stop fabric colors from running which can permanently stain carpets. 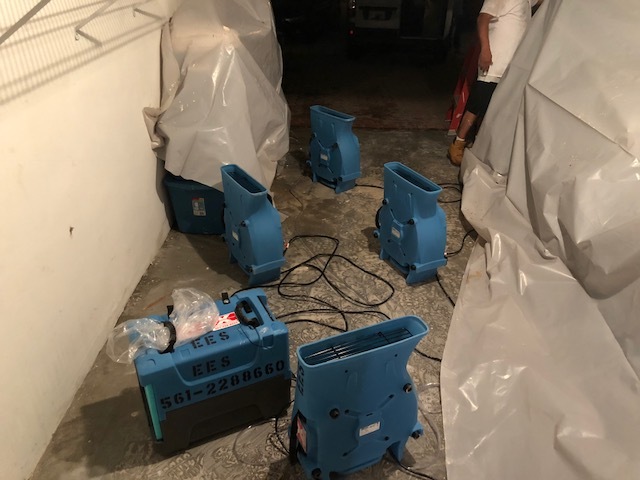 They set-up air movers to force warm, dry air over the affected property to speed up the drying process and stop any secondary damage. After removing the water, our specialists move on to demolition. Team members use visual inspections and infrared cameras to find permanent damage to building material like drywall, paneling, and wall framing. Our experienced demolition workers then knock down everything identified as non-repairable and quickly dispose of it. Disposal includes removing damaged carpet and throwing out furniture that has already swelled and cracked from absorbing too much water. Now come the significant repairs. As a licensed contractor, our teams can also remove and replace damaged support structures. If there is a problem with a load-bearing wall, we can easily install screw jacks and other temporary supports while replacing the wall, support columns, and other structures. Express Emergency Services has supported Lake Worth and surrounding communities like Ft. Lauderdale, Deerfield Beach, and Boca Raton for more than twenty-five years. If you have damage from a rainstorm or a split, water intake line, call us at 561-513-5977 to schedule an inspection. More information about the city of Lake Worth here. This entry was posted in Lake Worth. Bookmark the permalink.